One of the perks of owning a Galaxy S or Note phone — apart from the tremendous accessory support, MST payments, display quality, etc. — is the convenience of wireless fast charging, topping up your phone quickly and easily without having to deal with fiddly, tangled cables or ports. But those fast wireless chargers can be on the expensive side, so saving a bit of extra cash can be swell. 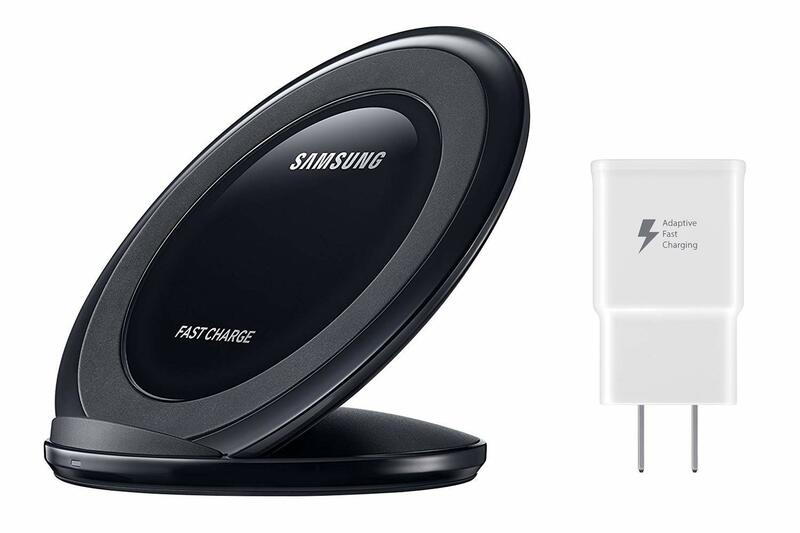 Thankfully, for the next eight hours or so, Samsung's last-gen Fast Wireless Charging Stand (and included AFC wall charger) is just $24 over on Amazon as a Deal of the Day. That's $10-8 off recent prices, and $46 off the ridiculous, over-inflated MSRP pricing. It's also an all-time low for "new" quality as sold by Amazon — so far as we can tell. Keep in mind, there is technically a newer model, but it's only going to charge your Galaxy S-whatever at the same 9W speeds. It's up to you if a slightly prettier design is worth the ~2x price premium. Personally, I'd rather save the cash. With eight hour still left to go, the deal appears to have sold out, Amazon has flipped over to third-party sellers. Hope you managed to snag one.